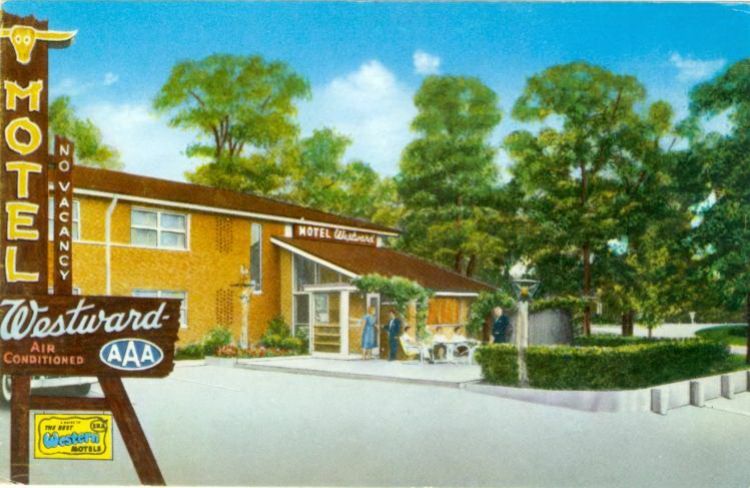 The Westward Motel, "One of the Nation's Finest", occupied the northeast part fo the Watson-Lindbergh interchange until just a few years ago. The sign was salvaged and shines once again at the Museum of Transportation, right next to the restored partial unit of the Coral Court. A Hampton Inn was built on the site.